This bracelet is a hollow form shadowbox set with 9 stones. 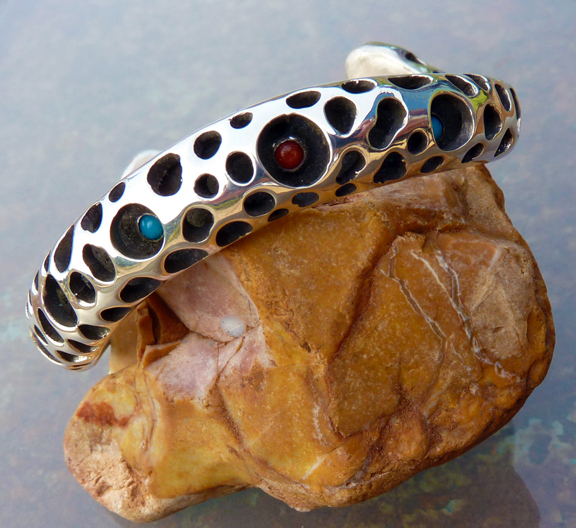 Traditional Native American turquoise, coral and silver with a contemporary design—beyond southwestern. A substancial piece without being too heavy. One-of-a-kind, hand-carved. This bracelet is about a half inch wide and about a quarter inch deep.